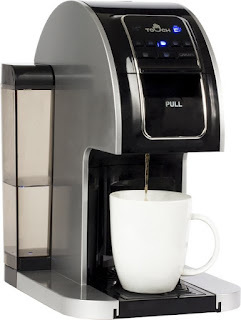 Today only, while supplies last, get this Touch - 1-Cup Coffee Maker for ONLY $49.99 (Retail $199.99)! Begin your day with a fresh cup of coffee from this single-serve coffee maker. Eight different cup sizes ensure that you brew the perfect amount, and the included 26-oz. carafe keeps coffee hot for easy refills.